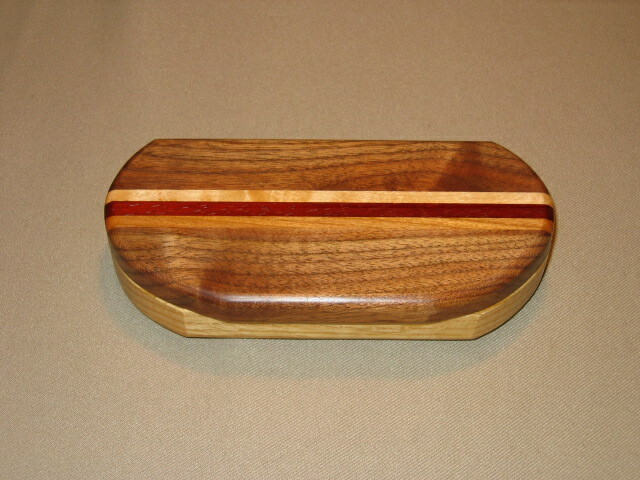 Even the smallest dresser or table would have room for one of these little beauties. 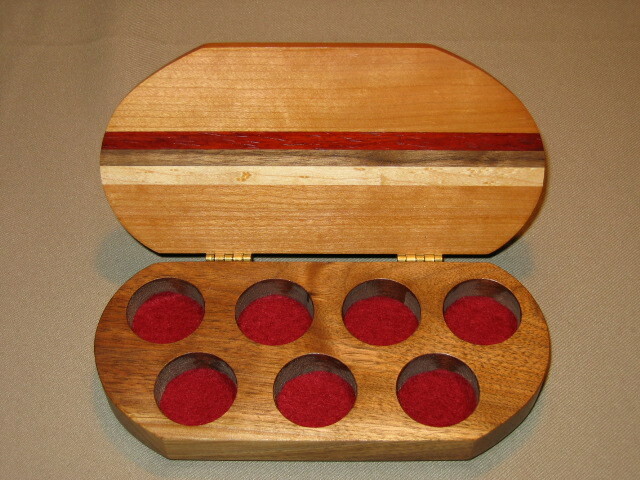 Each wood box has seven felt-lined holes for small earrings, rings, charms, coins, or other small treasures. Different combinations of wood join the top and bottom and stripes of contrasting woods make the top all the more interesting and beautiful. 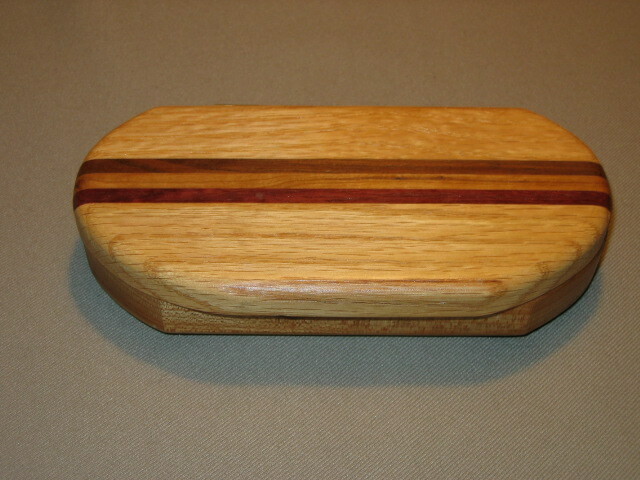 Each box is 7 inches long, 3 1/2 inches wide, and 1 3/8 inches thick. Choose your favorite wood for the top from cherry, oak, lacewood, or walnut and the bottom will be a different wood that complements the top. 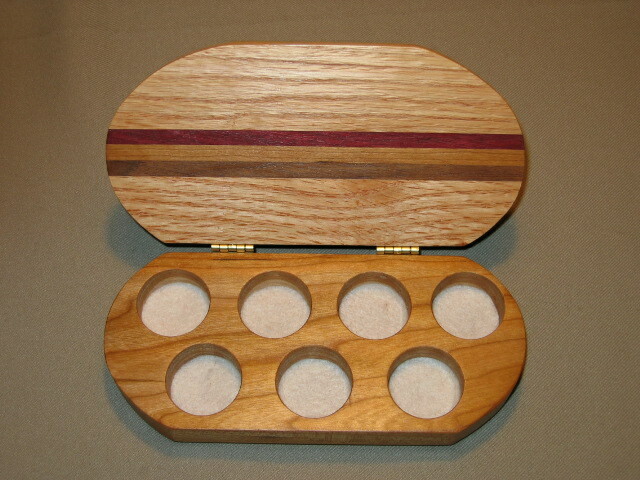 The holes are lined with felt and rubber feet provide a non-slip bottom. Each is finished with a satin lacquer for long-lasting beauty. 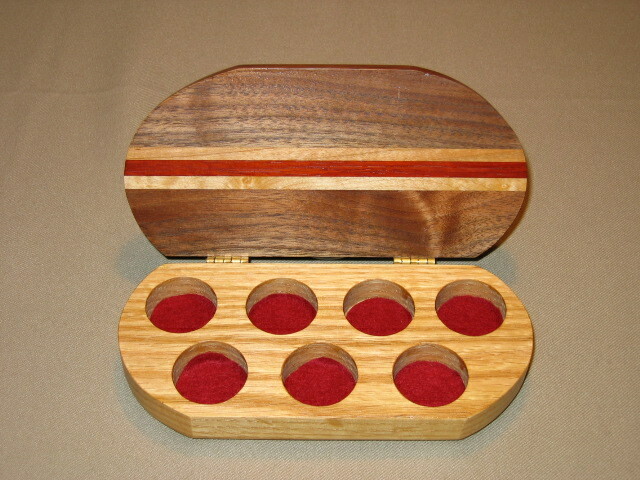 Please select your choice of the top wood from the drop-down menu; then click on the "Add to Cart" button. 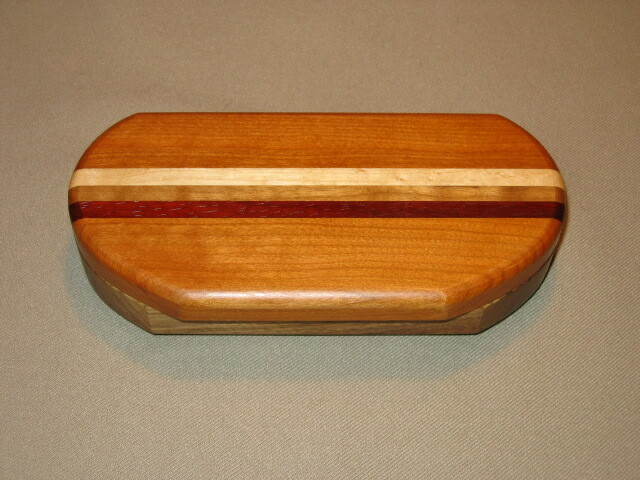 Copyright © 2012-2015 A Gift of Wood. All Rights Reserved.